At this rate, I can get it ALL done! THAT'S A FIRST! AND, there's no application fees, no closing costs2, and no annual fee! Easy application, fast decision making. 1Limited-time offer. 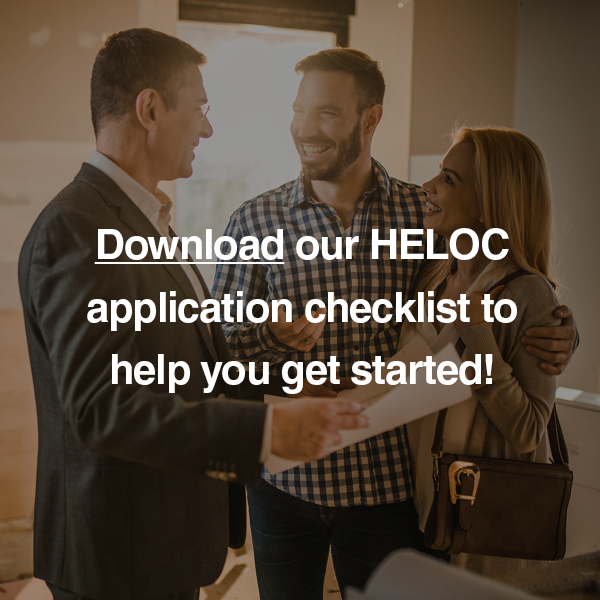 This special offer requires a minimum draw of $15,000, is available for new home equity lines of credit (HELOC) for owner-occupied, single-family residential properties, and is subject to change at any time. The introductory rate will be in effect for the first 6 months after your account is opened. Upon expiration of the introductory rate, all balances will accrue at Wall Street Journal Prime (WSJP is 5.50% as of March 1, 2019 and may vary) plus 0.50%. The minimum monthly payment is an interest-only payment and will not reduce the principal that is outstanding on your line of credit by the end of 10 years. You will be required to pay the entire balance in a single payment. Contact us to determine current Wall Street Journal Prime Rate. The Maximum Annual Percentage Rate is 24%, with a Minimum Annual Percentage Rate of 4.25%. Property insurance required. Subject to credit approval. Consult your tax advisor about the benefits available to you. 2For loans of $15,000 to $250,000, First Bank will pay the closing costs on your behalf; however, if your account is closed within two (2) years, we will add any closing costs paid on your behalf to your outstanding loan balance for our reimbursement. Total closing costs generally range from $300 to $900.